Superstar Rajinikanth's much-awaited film 2.0, also starring Akshay Kumar, has gripped the nation. Ahead of the film's release, Rajinikanth sent out his best wishes to the team on social media and wrote, "Three cheers to team 2.0. The magnificent day has arrived." (Yes, indeed. Finally, the day has arrived). Rajinikanth's fans have queued up outside the theatres in Chennai to watch the first show, which reportedly started around 4.30 am. Rajinikanth's daughter Soundarya appears to have watched the film and her tweet said it all. "Oh my God. 2.0 is out of this world." 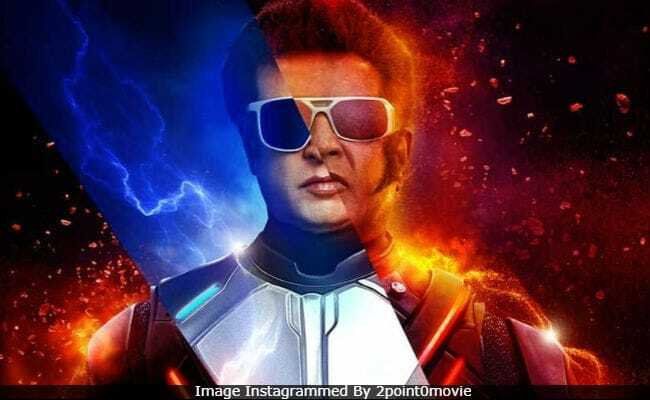 'Rajinkanth', 'Thalaivar' and 'India's Pride 2.0' are some of the trends on Twitter and several tweets related to the film and superstar Rajinikanth have been posted. (No surprise). Read Rajinikanth and Soundarya's tweet here. OH MY GOD !!!!!!!!!!!!! 2.0 IS OUT OF THIS WORLD !!!!!!!!! Music composer Anirudh Ravichander's tweet contained individual messages for the prime team members of 2.0. "The day is here. A proud moment for Indian cinema. Thalaivar superstar -Rajinikanth. The magician - S Shankar. The mozart - A R Rahman. The awesome - Akshay Kumar. The visionaries at Lyca Productions. 2.0 blast," he wrote. 2.0 is a sequel to Rajinikanth's 2010 blockbuster Enthiran (Robot in Hindi). Rajinikanth reprises the role of Dr Vaseegaran and resurrects his creation Chitti, the robot. The film marks Akshay Kumar's first collaboration with Rajinikanth. He plays the antagonist Dr Richards, who transforms into a villainous birdman-like creature, after a scientific experiment goes wrong laboratory. Directed by S Shankar, 2.0 is reportedly made on a budget of Rs 500 crore and is said to have already recovered about Rs 370 crore through the satellite and digital rights. Ready for 2.0? Tell us in the comments section below.